Unemployment compensation is designed to assist those employees that lose their jobs through no fault of their own. This compensation is to be used to provide financial assistance to the employee until they find a new job or until the end of the benefit period. In general, unemployment compensation is not available to those individuals that have quit or resigned from their job. However, if an employee resigns from their job because of harassment, hazardous working conditions, discrimination, or threats the employee may be eligible for unemployment compensation. Employees that have resigned from their job under these types of conditions may wish to consult with unemployment compensation attorneys. Attorneys that have a comprehensive understanding of the laws regarding unemployment compensation can help employees obtain the benefits to which they may be entitled. If you or a loved one have questions regarding unemployment compensation and unemployment benefits law, contact an employment lawyer in your local area today. Essentially, these elements focus on illegal job conditions rather than things such as personality conflicts, long commutes, or job dissatisfaction. When employees need assistance establishing “good cause” they may contact unemployment compensation lawyers. The attorneys at unemployment compensation law firms have an in-depth understanding of the situations and scenarios that will meet the “good cause” requirement. Because unemployment compensation was established to help employees avoid a total income loss, employees should file their claim as soon as they lose their job or have their work hours decreased. The employee will want to file an initial application for unemployment compensation benefits, or they may choose to contact their local Unemployment Compensation Service Center. It may be advisable for individuals to first consult with unemployment compensation law firms before filing any claims. An attorney representing an unemployment compensation law firm can help individuals ensure their claims are completed and filed correctly. Employees that are denied unemployment compensation benefits or are not awarded the amount of benefits they feel they deserve will want to file an appeal. Unemployment compensation appeals must be directed to the correct authority, and the appeal must be filed within a timely manner. Typically, individuals have 15 days from the date the decision was made to file their appeal. Unemployment compensation lawyers can provide legal guidance and counsel during this process. While employees may represent themselves, it will be in the employee's best interests to retain the services of a skilled and competent attorney. Unemployment compensation attorneys will aggressively pursue the full benefits to which the individual may be entitled, and they can help those individuals that have been wrongly denied benefits to obtain the benefits they need and deserve. Do you or loved one need legal help filing for unemployment compensation? 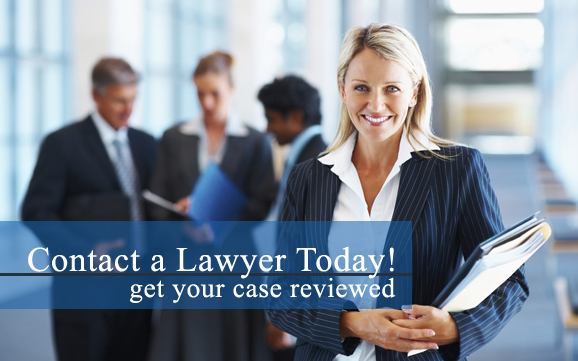 If so, contact an employment attorney in your area today to discuss your claim.